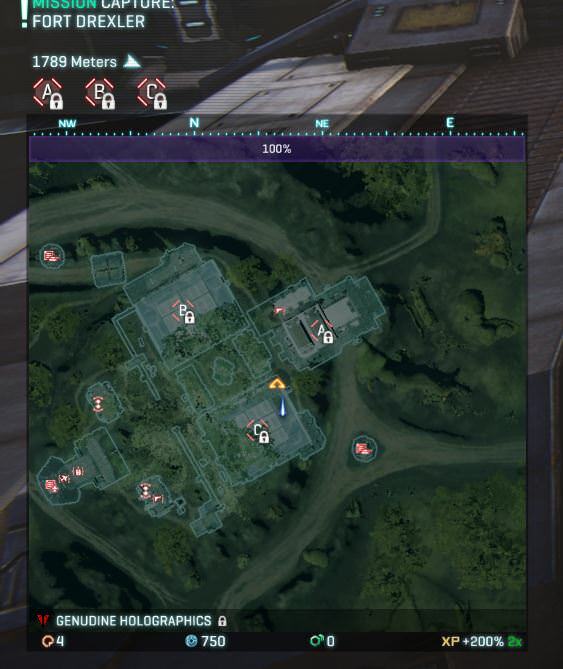 “A returning player, I haven’t played PlanetSide 2 for some time, what has changed in my absence?” – one of the most common questions in PlanetSide 2 community. On this page I keep track of the most important changes, and I link full changelogs so people can find out for themselves what have they missed. Thanks to /u/Arklur for sorting this page. There is an Event taking place for the Anniversary of EverQuest. During this event period the event-specific directive features the Fatestealer knife, which later upgrades into the Nightshade dagger, which can damage heavy armour. Release of the newest additions to the Carbine lineups for all three factions – Kindred, Charger and Horizon. Secondary weapon that fires high power, low-velocity rounds at a low rate of fire. Projectile lifespan from 5 sec. to 3 sec. Flanker Armor now also provides resistance to Infantry Launchers (resist type 34) and A2G Warhead (resist type 23) damage. Percentage at each rank from 5/10/15/20% to 10/15/18/20%. Healing has been standardized for all ranks of this ability. All non-Flash vehicles: Cooldown from 60/55/50/45 to 55/50/47/45 seconds. Flash only: Cooldown from 60/55/50/45 to 30/25/22/20 seconds. Valkyrie, ESF, and Flash only: Fixed a bug where these vehicles would not extinguish a burning state if you were not below 16.66% health when activating the ability. ANT only: Fixed a bug where these vehicles would not extinguish a burning state if you were not below 13% health when activating the ability. Activating Gate Shield Diffuser now prevents most types of collision damage. Duration from 8/10/12/14 seconds to 15 seconds at all ranks. Cooldown from 60 seconds at all ranks to 55/50/47/45 seconds. Cooldown from 40/35/30/25 seconds to 35/30/27/25 seconds. Duration from 5 seconds to 8 seconds. Cooldown reduced by 10 seconds at all ranks. Armor penetration bonus from 50% to 100%. Adjusted the explosion visuals to better match the blast radius of the weapon. During Aerial Anomalies event, a second anomaly will spawn shortly before the previous one despawns, creating a slight overlap. Unstable Meltdown – a low population variant of normal Meltdown Alert, triggers when there are fewer than 150 players on the continent and one of the faction captures 41% of the territory. Lasts for 45 minutes and has less territory available. Players can now leave or rejoin voice channels using /leavechannel or /joinchannel commands. Comfort Grip now also reduces Unequip Time. Hip Fire CoF penalty reduced from 30% to 20%. Platoon leaders once again have access to Leaders chat. Flash Wraith Cloak nerds: now there is a 5 second delay before you can recloak. Total energy pool has been increased by 33%, but the cloak now has an activation cost of 25% of max energy pool. New ES Flash Weapons: M4-F Pillager, LA7 Buzzard and V30-F Starfall. Valkyrie: small arms resistance (type 2) from 75 to 90. Mostly fixes for squads and implants. ISO-4 Recycler DBC cost increased to 249. Spawn Beacon now available to all squad members (?). Unstable Warpgates will remain unstable for 3 hours at most before stabilizing. Stable Warpgates will take ~3 hours to charge for a Meltdown Alert. Gaining Ground – new event where factions fight for Large Outposts across the continent. Mentor Squads added. Many other QOL changes related to squads and platoons. Added a Directive for Construction System. Added a ton of new implants and changed a few old ones. Now it’s possible to craft specific implants with ISO-4. Exceptional duplicates now breakdown into 500 ISO-4. Recyclers no longer grant common implants. Changed Tank Cannons and Flak Armor. Now some tank cannons can OHK through full Flak on a direct hit. HESH no longer OHKs with just splash damage, even without Flak. HS/NV (IRNV) weapon optics no longer have sway. Suppressor velocity penalty changed to -15% across the board. Suppressors no longer reduce max damage range. Hybrid Suppressors now have 20% velocity penalty. SPA and HVA now change velocity by 10%. T2 Striker max range reduced to 445m. NSX Fujin now has default capacity of 2, and Bandoleer provides 2x more per rank. Added a new Summer Directive. Completing 3rd tier of this directive will award players with a new faction-specific weapon for the Flash: M4-F Pillager, LA7 Buzzard and V30-F Starfall. These weapons will become available to purchase through other means at a later date. Routers and Elysium Spawn Tubes now award bonus experience to the owner for player spawns. MAX now has new directive objective: Damage to Vehicles. Players of all factions now receive an audio notification when an Orbital Strike is inbound. Healing from multiple Nanite Healing Grenades no longer stacks. Restoration Kit now heals a flat 70 health per second over time. Reviving while Carapace is equipped will not give you more than 500 health. Not conveyed in the patch notes, but Carapace also doesn’t restore any health when resupplying. Possibly not intentional. Continental Events added. They can randomly trigger once the Warpgates are stabilized. Events are basically Alerts that don’t result in a continent lock, but still provide personal rewards and – potentially – persistent faction-wide benefits. Aerial Anomaly: a series of anomalies will spawn in the continent’s air space. Being near an anomaly in an aircraft earns points for your faction. Aircraft Nanite cost is removed for the duration of the event. Facility Control: factions fight over control of the facilities of one type, such as Biolabs, Amp Stations and Tech Plants. Events last for 30 minutes. Meltdown Alert Changes. Once warpgates stabilize, they begin charging for a few hours. Once warpagates are charged, any faction can trigger a Meltdown Alert by capturing 41% of the territory. At the end of the Alert, whichever faction holds the most territory will win the alert and lock the continent. Meltdown lasts for 90 minutes. Ikanam Lattice Changes: now players have to capture Ikanam Bio Lab in order to proceed through lattice. Cortium costs are reduced by 50% to 70%. Now all modules can be placed near each other, except for modules of the same type – they have a 25m exclusion radius. Repair Module no longer makes walls invulnerable. All structures without a powered Silo nearby will decay rapidly. Silos now slowly drain Cortium even when not powering anything else. You can no longer completely lock out other players from using your Silo, but you can set a reserve of 20 000 Cortium. Walls and other “hard” construction objects take 30% friendly fire damage. “Soft” objects no longer take friendly fire. ANT’s mining weapons can now be used to deal intense damage to enemy construction objects. Structure Shield Module can now be interacted with to make nearby large structures invulnerable to damage for a short time. Vehicle Gate Shield no longer requires a Structure Shield Module to function, but now it drains Cortium. Vehicle Gate Shield no longer allows small arms fire to pass through. Skywall Shield Emitter now EMPs infantry instead of burning it. Vehicles passing through the shield take more damage. Flail Artillery Battery. Functions similarly to Glaive IPC, and fires barrages of 4 anti vehicle shells on locations marked by a dart. Routing Spire. Provides access to a Router deployable devices, which can be placed anywhere to provide a spawn location for all allied players who die or redeploy within 100m of it. Pain Spire – deals mild damage over time to enemy infantry and MAX units within 15m. Spires share an exclusion radius and are vulnerable to small arms fire. Orbital Strike can now be called on targets inside no-build zones, including normal bases. Players indoors will receive knockback and collision damage, but not direct damage from strike itself. Maximum charge now achieved in 15 minutes instead of 60. Orbital Strike cannot be fired if silo is drained. Orbital Strike Upling produces a large explosion if destroyed. Constructible Air Pads now resupply air vehicles. Both vehicle pads can be locked from use, and will adhere to Silo’s Cortium Reserve rules. Vehicles pulled from constructible pads do not cost any nanites. Squad Beacons now appear in leader’s loadout only when there are at least 2 squad members. /squad promoteme command now works outside of Alpha Squad and has a keybind in settings. Implant Screen received a UI rework. Motion Blur can once again be properly enabled in Graphics Settings, if your Graphical Settings are High or Ultra. Vehicles now have proper ability cooldown timers. Restoration kits no longer stack with Medics’ Nano Regen Device. C4 now has a 0.5 second delay between click and detonation. Blackhand max damage range extended from 8m to 20m..
New Battle Rifles: MG-HBR1 Dragoon, MGR-M1 Bishop and VE-LR Obelisk. Buffs to classic Battle Rifles and “long range” Semi Auto Sniper Rifles; both are made more spammable. Carapace now properly works with Regeneration implant. Prowler‘s Anchor Mode has been refunded and made baseline. Now it provides a 50% velocity bonus, and nothing else. Barrage – new utility slot ability for Prowler, which temporarily increases Reload Speed by 30%. Buffs to Gatekeeper, Aphelion, Vulcan, Enforcer. Mjolnir velocity nerfed from 250 to 200 m/s. Vehicles now have a 30 second cooldown between pulls. Total number of purchasable character slots has been increased from 4 to 6, so now you can have up to 12 characters in total (3 default + 3 unlocked if your purchase membership at least once). Many changes to sidearms, mostly buffs. Laid down groundwork for “Events” – any event that’s not a Meltdown Alert. Players now able to create a squad without inviting other players. Spawn Beacons are disabled for squads of 1. Added Reserve Hardlight Barrier for Engineers. Reduced Flak Damage to Liberator, Galaxy and Valkyrie. That includes damage from HA’s rocket launchers. Liberator Bottom Armor reduced from 50% to 20%. Unstable continents now have a 120 player stabilization threshold, up from 96. In addition, instead of bordering the continent, there will lanes leading to its center. Paradise Camo has been added as a rare reward for alert wins with at least 90% participation on the continent of Hossin. Promise and Maw recoil buffs. Tank Mines will now only detonate on MAX units after their 4 second arming time. Added interface filters for selecting a weapon, as well as options to automatically ignore outfit and squad invites, as well as whispers and friend requests. Removed prongs from constructible ramps. Unstable Warpgates system added: newly opened continents will go into “unstable” mode for two hours or until population of 96 players is reached. While a continent is unstable, HIVEs cannot be placed, Meltdown Alert cannot be triggered, and many regions become disconnected from the lattice system and cannot be captured. You can still move through those regions, and base terminals can be hacked. Koltyr repurposed into a VR continent open to all players. XP gain and friendly fire are disabled, and all equipment is available for free. Only Flash, Sunderer and Lightning are available. Each faction can have up to 33 people on Koltyr at the same time, but there can be two instances of Koltyr per server. Add three vehicle-capturable bases to Indar and Esamir, and two to Amerish. There are no no-construction zones around these bases. Multiple adjustments to lattice connections. Three new LMGs: MG-H1 Watchman, MGR-L1 Promise and VE-H Maw. Canis’ Unstable Ammunition no longer has a Hip Fire CoF penalty. Base RoF increased from 500 to 550. Jackal: velocity increased from 350 to 400 m/s. BX Adapter no longer reduces ammo pool (still reduces magazine capacity), and it cannot be used with Hybrid Suppressor. Gladius: magazine size from 28 to 26. Ammo pool from 168 to 182. New defensive slot: Lockon Jamming Field – passively protects nearby allied aircraft from lockon attempts (but not the Galaxy itself). Nanite Proximity Repair: increased range from 50m to 75m. Vehicle Ammo Dispenser range standardized for ground and air vehicles, up to 100m at max rank. Liberator’s Afterburner moved into Passive Systems. Reduced Harasser’s resistance to tank rounds. Headshots will now display a headshot damage indicator. MAX units may now flip vehicle capture points. Implants on the death screen now show their proper rank. Canis’ Unstable Ammunition projectile size nerfs, headshot damage multiplier reduced from 2x to 1.2x. ESF, Liberator, Galaxy – Vehicle Stealth cert line will no longer completely counteract Engagement Radar, instead it will reduce detection range by 100 / 200 / 300 / 400m. Valkyrie – 150 / 250 / 350 / 450m. Liberator and Galaxy – reduced the on-fire vertical thrust penalty so that these vehicles have a better shot at landing the vehicle while on fire. Continued balancing to some of the vehicle weapons. Phylactery Implant added to implant drop table. Quick Deploy should no longer disable due to overpop unless there are more than 12 allies in the region. ANT Reinforced Armor now properly states its health bonus. Safeguard’s old melee damage resistance has been removed. You can now deploy into VR Training without using Warpgate Terminal. Quick Deploy (from the death screen) will now disable if there is more than 60% allied population in the region. Capture Points that cannot be captured are shown on the HUD and minimap with padlocks over them. Region population is now displayed on an expanded minimap. You can click on usernames in the most recent line of chat TOOK ONLY FIVE YEARS SHEESH. It’s no longer possible to deploy a Sunderer inside a no-deploy are of an allied base. You can deploy on a squad beacon from any range. Three new implants: Assassin, Overdrive, Logistics Specialist. Dalton damage from 1000 to 1500. Zephyr damage and handling buffs. Duster CoF and CoF Bloom buffs. Tankbuster damage from 175 to 250. Mjolnir direct damage from 80 to 100. Spear Phalanx Turret: Direct damage from 500 to 600, Inner blast damage from 250 to 300. AV MANA Turret (Engineer) changed Damage Resist Type from 23 (Air to Ground Warhead) to 34 (Infantry Rocket Launcher). It’s now possible to spawn in a vehicle with Squad Spawning as long as there a squad member in any seat. Assimilate’s Tier 5 benefit should be fixed. Again. Reduced thresholds required to activate faction balance queues on a continent (?). ESF Synergy (Engineer) renamed “Aircraft Synergy”. Now stacks with NAR and has two additional ranks, which will make the auto repair affect Libs and Gals. Nanoweave Armor and Kinetic Armor Rank 4 and Rank 5 now also reduce damage by resist type 22 (Walker). Ordnance Armor description fixes. Spiker’s alternate fire now deals light damage to heavily armored targets. NS-45 Pilot and NSX Yumi accuracy buffs. A slew of resistance changes. Flak accuracy nerfs, damage buffs. Rocket Pod direct damage nerfs. Meltdown alert duration from 30 minutes to 45 minutes. New continents will now unlock when global population reaches 800 players, up from 600 players. All flak-based explosives are being standardized to 5 meter inner blast radius, and 8 meter outer blast radius. Free promotional code for all PS2 players: PS2WelcomeBack. It grants a platinum NSX Tanto and a platinum NS helmet. Redeem it now! Continent Locking is now achieved via the new Critical Mass alert system. A faction that has refined enough Cortium with HIVEs and captures 41% of territory, will trigger a Critical Mass alert. If that faction controls at least 36% territory by the time the Alert ends, it will lock the continent. Alert lasts 30 minutes. Players receive rewards for participating in the alert. Rewards scale with how long the player has participated. If a faction that triggered the alert wins, its players receive up to 300 ISO-4 and a loot box, that contains a random boosts or cosmetic item, including unique cosmetics that cannot be purchased through marketplace. If a faction that didn’t trigger the alert wins, its players receive up to 100 ISO-4. If a faction loses, its players receive up to 50 ISO-4. Continents now have more strict population balancing mechanics. The population of the most populated faction now must be within 6% of the least populated faction. Not mentioned in the patchnotes, but mentioned in the livestream. Significant balancing changes to vast majority of vehicle and anti vehicle weapons. Not listing most of the changes here to save space. Read patchnotes. Tanks now have the same armor for top, sides and front, and take precisely double damage from bottom and rear. Nanoweave Armor now provides same 20% damage resistance at all ranks. Higher ranks add more damage types for Nanoweave to resist. Similar changes to Flak Armor, Kinetic Armor and MAX FLAK Armor, which has been renamed to Ordnance Armor. New semi auto sniper rifle: NSX Daimyo. It has weak body shots, but it’s still capable of one hit kill on a headshot. New Light Assault ability: Ambusher Jump Jets. On a short cooldown, it gives a strong burst of upwards and forward acceleration. New Engineer grenade: Nano-Repair Grenade. When thrown, it will repair 50 health per second to all repairable targets in an area for 12 seconds. Sticks to vehicles and generators. Only one grenade can be active at the same time. Resistance and Armor interactions have been streamlined and simplified. Now you should be able to directly compare damage of different weapons on the loadout screen. Liberator now has 50% bottom armor, like Valkyrie. All liberator noseguns can now freelook while aiming down sights. A vehicle can now be repaired from only one rumble seat at a time. Valkyrie’s repair rate from rumble seat has been doubled. Throwing and triggering C4 is now more smooth and responsive. Damage reduced to 1250 @ 2.5m 10 @ 5m (source). Archer now deals a small amount of splash damage if the projectile has traveled more than 25m. ES AI secondary weapons – Marauder, Canister and PPA – can now damage armored vehicles. Now Kobalt is the only secondary weapon incapable of damaging armored targets. Vanguard Shield Renamed to Forward Vanguard Shield. Instead of adding an additional health pool upon activation, the shield will now decrease the damage from top and front by 67%, and from the sides by 34% for a short time. The ANT’s C-Barrier ability, instead of eating Cortium each time it receives damage, will now provide a 20% damage resistance while the ability is active. Composite Armor now provides 10% to 30% bonus health, depending on vehicle. Tank Side / Front / Top armors have been removed and refunded. Now they are joined together in Flanker Armor, which reduces damage from C4. MBTs with Flanker Armor will not be destroyed by two C4 bricks. Lightnings will be destroyed, but only if both bricks are close enough. Light Assault’s Flight Suit now has a stronger effect, but costs more. Players now receive experience for damaging ground vehicles. Safe Fall rank 5’s collision damage resistance increased from 20% to 50%. Tank cannon tracers are now more visible and faction colored. Increased visibility of smoke screen particles on lower settings. Resist Shield damage reduction changed to 35% from 40% (not mentioned in the patch notes). It’s now possible to lock 3 continents at the same time, depending on server population. Second continent opens when there is more than 600 players online. Many changes to Indar’s lattice and bases to address common pain points. New line of “Mayhem” Directives: score kills with Ravenous and Heatwave cosmetic variants of common weapons to unlock NS-45 Brass, a cosmetic version of NS-45 Pilot. Shield Recharge Delay reduced from 10 to 6 seconds. For Engineers, reduced from 8 to 4 seconds. It takes 6 seconds to regenerate full shields, up from 4 seconds. Advanced Shield Capacitor reworked. Now it reduces the time it takes to regenerate shields by 2 to 3 seconds, depending on rank. Previous time to full shields: 14 seconds (10 seconds with ASC). New time to full shields: 12 seconds (9 seconds with ASC). Infravision Implant should be more usable now. Assimilate 5 Implant benefit fixed. Light Assault Jet Pack exhaust flames now change positions depending on cosmetic armor. C4 should now better follow vehicles when attached to them. Some implants’ fixes and buffs. Vehicle IR Smoke renamed to Smoke Screen. Now it spreads its effects on allied vehicles within 30m, and also temporarily removes vehicle’s autospot minimap signature. NSX Tengu received fixes to hip fire and Hybrid Laser attachment. Hunter QCX Crossbow now has access to Smoke Bolts. Nightmare Implant no longer procs from teamkills. Air and Ground Vehicle terminals have been consolidated, e.g. you can pull Galaxies and ESFs from the same Air Terminal. Ikanam BioLab reworked, and other Amerish improvements. Elysium Spawn Tube respawn timer increased to 20 seconds, and now it has a force field to protect spawned units. Lightning, Vanguard and Prowler have received improved traction. Motion Detection Tools no longer depend on player movement speed, only on his stance. Claymore damage zone increased to 135 degrees (trigger zone remains at 90 degrees). EMP Grenades no longer drain ability power. Underbarrel Smoke and Grenade launchers have received one extra grenade, and smoke launcher now also has 2x headshot damage multiplier. Players can now recycle ISO-4 into implants. Players now receive small implant bundles for completing early directives. It is now possible to call in Orbital Strikes via Construction System. New Engineer deployable: Hardlight Barrier – a chest-high cover. Construction System Bunkers now have an Infantry Terminal. New animations for wielded knives. C4 can now be deconstructed by Engineer’s Repair Tool. Adjusted Pitch Down Limits to “create small pockets of infantry vulnerability close to the vehicle”. Engineer’s personal shields have reduced recharging delay of 8 seconds. Infiltrators now have access to Battle Rifles. Claymores now have an activation time of 320ms. Sunderer Deployment Shield maximum health from 2000 to 2500. NSX Directives Tier 3 reward: Fujin, a throwing knife, used in grenade slot. New LA Tool: Rocklet Rifle. Amaterasu knife damage increased to 350. NSX Tomoe and auto scout rifles buffs. Med and Resto kits automatically equip primary weapon after using. This forces a 0.5 sec cooldown for them. Elysium Spawn Tubes can now be damaged by grenades and bullets. All Tech Plant upper platforms no longer harbor Anti-Vehicle Turrets. MAX Charge ability has been replaced by Emergency Repair: activate to repair 20% of a MAX’s health over 12 seconds. Hipfire minimum cone of fire while airborne now uses the same minimum hipfire cone of fire as a player who is walking. For the Serpent VE92, VX6-7, LC2 Lynx, LC3 Jaguar, GD-7F, and AF-4A Bandit, these values are slightly larger. Hip Fire CoF bloom buffs for many carbines. Lynx bloom buffs. Reduced recoil recovery delay for semi auto scout rifles, semi auto sniper rifles and battle rifles. Stalker Cloaking recharge rate buffs. New models for some pistols. New FX for Resist shield. from the redeploy screen, using its 1st loadout. Construction System purchases with Daybreak Cash are now account-wide. DBC refunded where appropriate. Bypassing construction object Cortium costs will now require certifications, instead of Daybreak Cash. New Construction Objects: air and vehicle terminals, pillbox, vehicle gate, Glaive IPC artillery, alarm module, vehicle ammo dispenser, respawn tube. Valkyrie Squad Logistics certification is now baseline, certs refunded. Valkyrie turret can now swivel 360 degrees. ES Secondary vehicle weapon changes, C75 Viper changes: now has less recoil, but added CoF bloom. G40 Ranger damage buffs. EMP grenade cost 25 -> 75 nanites. Standard Flash Grenade now has 3 second fuse timer and increases enemy minimum CoF by 20%. Added Quick-Det Flash Grenade with 1.5 second fuse timer which doesn’t affect enemy CoF. A few weapon changes, notably Cyclone nerfs and TRAP buffs. All ranks of the repair tool are now able to deconstruct enemy tank mines. Now a faction needs 20 Victory Points (up from 15) to capture a continent, but all faction will now start the map with 5-6 Victory Points. A minor tracking delay has been reintroduced to G2A and G2G lock-on launchers. Updated spot callout VO for the Flash, Liberator, and Valkyrie to make use of more specific VO lines. Added Starter Loadouts that unlock a few necessary attachments for starter weapons and a fully certed suit slot (different per class). New utility item – Auxiliary Shield, unlocked and equipped by default by all classes. Passively increases Shield Health by 50. Power Knives activated damage from 1000 to 1050. Titan-150 HE and Supernova VPC indirect max damage from 1000 to 1050. Proximity Mine and Bouncing Betty indirect max damage from 1000 to 1050. Blackhand min damage from 250 to 275. Semi-Auto Sniper Rifle buffs: Recoil Decrease from 6 to 10, added a new Rail Attachment: Ballistic Computer, which removes scope sway from all scopes. Vehicle Weapons: All 1.25x zooms unlocked and equipped by default. The Flash ATV can now unlock a Gate Shield Diffusor. Engineers piloting ESFs will enable health regeneration on the vehicle equivalent to rank 1 nanite auto repair system but with a 12 second damage delay. This does not stack with the nanite auto repair item. ESF Nanite Auto Repair: Regen Delay lowered to 8 seconds down from 12. New Construction Items: Reinforcements Module, Infantry Tower, Low Profile AV Turret, Faction Banner, Vehicle Ramp, Blast Wall. Players can no longer place VP Chassis while they have an active HIVE in world. Underbarrel Smoke Launchers now use a shorter duration smoke effect. NS-61 Emissary had some changes in damage / recoil stats. Optics attachments have been added to all empire specific pistols. Fixed an error where some Forward Grips would incorrectly increase the number of horizontal “kicks” in one direction. Fix for the issue where other players could appear dead, but still be running around and shooting. Players fighting within a 150m radius of an active HIVE will receive a 20% XP bonus. Faction has seven active Hives up at the same time: +3 VP permanently. Faction has the majority of active HIVEs: +2 VP, only while the objective criteria is met. To prevent a faction from hogging all cores and not using them, Inactive cores now have a placement timer on them. If the timer reaches zero before a valid chassis is provided by players, the core will become neutral and be awarded to the faction with the oldest existing valid chassis. Construction structures and turrets are now much more vulnerable to all types of damage while in the process of building. Silo/Turret permissions do not reset when the owner logs out. Reduced gravity on Slug Ammunition from 11.5 to 8. Fixed a bug where VS slugs were not using “the correct 300m/s projectile velocity”. A bit hard to tell what this change means, because some shotguns aren’t supposed to have 300 m/s velocity. High Velocity Ammunition now increases minimum damage range by 20m for all weapons, increases projectile velocity by 5%, decreases maximum damage range by 2m. No longer increases vertical recoil. Default velocity on some weapons has been adjusted. Unarmed Flash ATVs may now free look 360 degrees. Flak will no longer blind pilots hit by it in first person. Silos and turrets can now be individually locked by the owner using the Q menu. Structure Shield Modules will now give active HIVEs a bubble shield for additional protection. Empty HIVE chassis should now be more difficult to destroy. The tutorial has been re-enabled for new characters. The cap on ammo resupply experience has been increased substantially. Experience caps related to the Bounty system have been removed. The EM6, Pulsar LSW, and TMG-50 have received new models. GODSAW’s projectile velocity while aiming down sights is now properly 670m/s. You can now see which continents have a queue while in the world terminal. (Wasn’t in patchnotes) Spitfires now have a cert line to allow engineers to carry up to 4 spitfires with them. Changes to friendly fire on player-constructed objects. HUD loadout UI polish and update: equipment slots with timers on them ( e.g. squad beacon ) now persist on the HUD until the timer is complete. Buffs to: T4 AMP, Mag Scatter, Inquisitor, Hunter QCX. Increased distance for spawning into squad vehicles from 600 meters to 1000 meters. Reduced cooldowns for offensive/defensive markers from 5 minutes to 2:30 minutes. New button to invite all outfit members to squad/platoon. New button that allows a squad leader to remove their squad from a platoon. All squad members will show within 2500m. Depending on your position in squad hierarchy, different squad members will also edge clamp. Waypoints can now be removed individually without removing all other waypoints. Bounty Hunter Award XP has been increased from 100 to 250xp per kill. Payback Award XP has been increased from 100 to 400 per kill. NMG and Adrenaline: total hit points reduced to 450, upkeep cost reduced, regeneration rate increased. Resist Shield: damage reduction reduced to 40%, active duration increased by 50%. MR11 Gatekeeper nerfs: velocity decreased, drop increased. Battle Rifles: recoil reduced, maximum damage range increased to 15m, added UBGL and UBSGL, reload speed reduced. Auraxium Battle Rifles: similar buffs + vertical recoil reduced, velocity increased. Flash Grenade Fuse timer to 1.5 sec from 3 sec. Medical Applicator Revive range standardized to 6 meters at all ranks. Flash Suppressor no longer increases CoF bloom, and instead increases minimap detection range by 15m. Lightning tanks may now unlock Engagement Radar (autospots nearby enemy aircraft, shows direction to them if they are off screen, incredibly useful for Skyguards). Players can now safely drop from a Valkyrie by default. Fix that should make damage from C4 attached to a moving vehicle much more reliable. Fixing erratic blinking of centralized HUD ammo/ability bars when at warning levels. Alerts now require at least 30 population on two factions in a zone to start. Alerts can now start on multiple continents at once. Increased Alert rate, Alerts should fire off 45-90 minutes after last alert ended. Linking both warpgates simultaneously no long caps the continent, but instead grants 3 victory points (in addition to the 2 victory points you get for linking the individual warpgates). 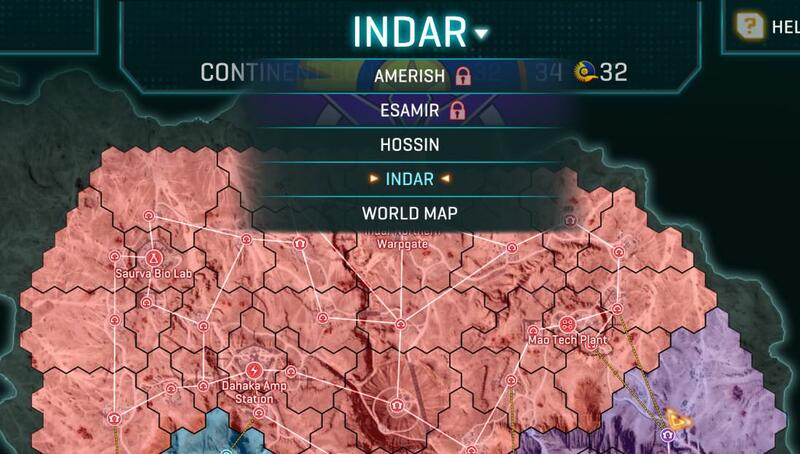 Indar now only requires 8 victory points to lock. LMG changes – removed 75% ADS from Orion and SVA-88. Buffs to many LMGs across the board. Victory Points – now it’s possible to conquer a continent by accumulating victory points, which are granted for objectives, outlayed at the top of the map. Hossin ownership now doesn’t provide a cost decrease to MAXes, and instead provides repairs to vehicles at ammo towers and supply pads. AMP station ownership now significantly increases the amount of time base turrets can fire for, and makes them repair automatically over time. Biolab ownership now restores health faster. This effect overrides regeneration implants of lower tiers. Bounty Hunter directive, awards NS-15M variant. New AV secondary weapons for MBTs and Harassers: M96 Mjolnir, MR11 Gatekeeper and Aphelion VEX-4. NEW NS Lock-on Rocket Launcher: NS R3 Swarm – can lock to ground and air vehicles and has a 3 rocket magazine. Can switch between two fire modes to change rocket velocity and tracking. Fast rockets move quickly, but are not quick to change direction. This allows them to be outmaneuvered, but not outrun. Slow rockets have decreased velocity, but are better at following a target. That means they cannot be outmaneuvered, but rather must be outrun. Changes to capture mechanics of large outposts; now it’s possible for the 3rd faction to come and steal the capture progress. Cut off regions no longer contribute towards territorial control percentage required to capture the continent; this also applies to alert victories. HEAT and HE tank cannons’ velocity has been increased to match the AP. Striker accuracy buffs. Sensor shield 4 bug fix: now works within 20 meters of a motion sensor. You can now spawn on a spawn beacon within 1000m (was 600m), and from any range if majority of the squad members are near the beacon. Valkyrie biffs: it now takes less damage from small arms, bottom armor increased to 50%, increased weapon thermal range from 50m to 200m. Sunderer Cloak – added 5th certification level for Sunderer Stealth. When equipped and Sunderer is deployed, it generates a cloaking bubble that cloaks the Sunderer and all friendly infantry within the bubble. Infiltrator Cloaking now has five stages, from least visible to most visible: crouching, crouch moving, standing, standing moving, sprinting. Buffs to Striker’s projectile speed, acceleration and damage. Vehicle stealth no longer prevents rockets from seeking. Burst Carbines and Assault Rifles changes: significantly reduced first shot recoil modifier, but increased recoil per shot and hip fire CoFs. Reduction in horizontal recoil in some cases. 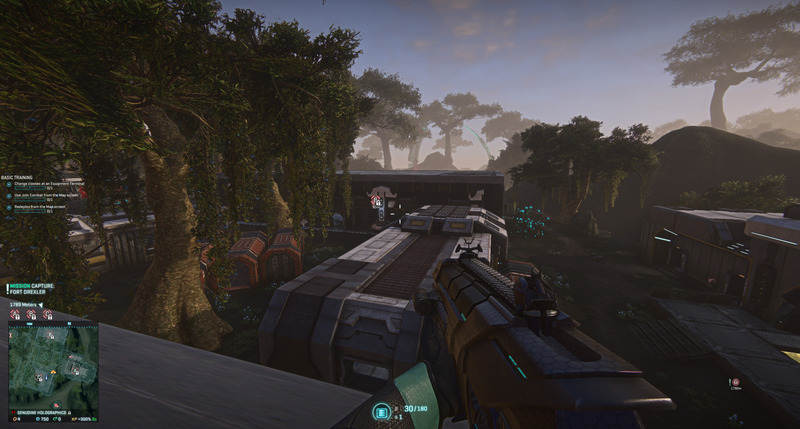 PlanetSide 2 now require a 64 bit Windows. New Weapon for Engineer: NS-AM7 Archer anti-materiel rifle. Sunderer Blockade Armor now provides the same resistance from the rear as on other sides. Infantry render distance changes: players who damage you and players using long-range loadouts are more likely to render for you even at long range, as far as 600m. Tank Mines will now detonate on MAX units. TR MAX Lockdown now takes 2 seconds to deploy and 1 second to undeploy. You can spawn on a spawn beacon only within 600m of it. If the squad’s vehicle is located within enemy territory or friendly contested (being capped) territory, you can spawn on it only when within 600m of it. If the vehicle is in friendly uncontested territory, you can spawn on it from any range. Spawn on squad will now take you to the closest available spawn point in the region that has the most amount of squad members (this doesn’t include spawn beacons). Instant Action rules have been simplified: it now spawns you at nearest available spawnpoint (this includes Sunderers and base spawns) at any fight where your faction’s population is within 20% of the enemy’s population. Tank Mine LOD range increased by 25 meters to 70. Updated TR reticule sizes to be smaller across the board. Knife damage is now correctly resisted by Resist Shield. Membership now isn’t tiered, and always provides auraxium-level benefits. Added Intra-Facility Missions – small objectives within a base, like “overload that generator” or “capture this point”. Enforcer and Canister variants now have a continous reload mechanic: ammo will be reloaded one round at a time and the weapon can be fired during the reload process. New Galaxy Defensive Slot Items: Vehicle Ammo Dispenser and Nanite Proximity Repair System. Players now receive 100 certs for each battle rank from 1 to 15 to help get their characters rolling. Depot Pricing Changes: certs cost up, DBC cost down, except for NS weapons, where they are increased. Vehicle Optics zoom variants can now be purchased independently. Added NS-44L Blackhand sniper revolver sidearm. Flight controls revamped to work better with gamepads. Smoke grenade buffs for low settings. Added Icarus Jets. Team Rocket blast off at the speed of light! Drifter Jets will now provide a small amount of vertical lift when no directional keys are being pressed. EMP now destroys ALL deployables, overheats MANA turrets, and drains ability energy of ALL classes. Engi Ammo Packs can now be destroyed by weapons fire and EMP. Nano Armor Cloak will no longer shimmer when shot. Sticky and anti-vehicle grenades will no longer stick to a MAX unit that has their Aegis shield active. Time required to lockdown is being reduced from 2 seconds to 1 second. ZOE damage at extreme close range is being increased while damage will decrease over range more rapidly and eventually become lower than normal. For anti-personnel weapons, Zealot overdrive now increases the damage of the weapon to require ones less bullet to drop an infantry at 10 meters, but sometime after 15 to 20 meters, damage is reduced. MAX AV: Fracture, Raven, Vortex tuning so they have similar effective range. Reduced the range where Sunderers are auto detected on the mini-map when deployed. Instead of using the default 100 meters, they will appear at 15 meters. Having any rank of stealth equipped will remove it from the mini-map when deployed unless spotted. Some tweaks to Butcher and GODSAW Auraxium LMGs. VS Directive weapons which use heat mechanics are no longer able to be manually reloaded to reset heat. Heat capacities increased to give them 3-5 more shots from empty. Knives can now be wielded by holding “melee” button or via Gear Slot 8. Wielded knives have higher swing speed. One new knife per faction. New knives can be “activated” when wielded by pressing “switch fire modes”. Activated knives emit sound effects and OHK on a body hit. They swing slower, especially when quick-knifed. Knife hit detection has been adjusted to be more precise. Knives can now get head shots with 1.5x multiplier and will play impact effects on the surface they hit. Spitfire Turrets – new engineer ability. Engineer can construct a Spitfire Auto-Turret that will automatically engage hostile infantry within 50 meters. Only one turret per engineer per resupply. Emits sound effects to warn about its presence, can be destroyed by small arms fire. Profile banners are now available to customize your Profile and Death Screen. Set your banner in My Profile Menu. Banners can be obtained from the Utilities section of the Depot or from completing Expert and Master level weapons directives. New tiers for following implants (Tier 4 implants have an energy cost of 1.25 per tick): Hold Breath 4, Clear Vision 1,2 and 4, Emp Shield 1,2 and 4, Sensor Shield 2, Regeneration 4, Safe Landing 4, EOD Hud 4, Battle Hardened 2-4. Balance changes: Banshee nerfs, Vulcan buffs, Spiker +2 magazine size, reflex sights for Commissioner and Underboss, Vanu default camo nerfs / changes to base interior color to easier make out Vanu infantry. Ability to Ban Players From Squads/Platoons, Ability to Hide Certain HUD Elements (goodbye implant drop popup). Halloween Event. Special directives, awards, etc. Scopes have been updated. Now the red dot and other crosshair options are always at the center of the screen. Goodbye this issue. EMP, Flash, and Concussion grenades now award assist experience if the target is killed by another player while under the effect of your grenade. Ribbons for them are now based on these assists instead of kills. Destroying a vehicle will now count as a kill for all weapon medals and most directives. Vehicle doesn’t have to be occupied. Spawn kills are now worth 0 xp across the board and in later patches will be made to not provide kill credit towards directives and medals. Cloaking Improvements – fixed multiple bugs, cloaked objects will now look the same across all graphics settings. T9 CARV’s horizontal recoil reduced to .21375 (down from .225). Membership now always provides 50% bonus XP. The cert cap has been raised for members to 50,000. Non-Members will no longer gain certs while offline. Squad Deploy no longer spawns players on the squad beacon. HUD Icon for Counter Intelligence Implant has been made more visible. Stealth change: increased screen shake from nearby explosion. Unclear if intended. Some balancing changes to auraxium weapons: The Executive, The President, The Immortal, Eclipse VE3A and others. All Auraxiam weapons now default to iron sights (6x scopes for sniper rifles) and have optics available for purchase. Sunderer Deployment shield now has an attachment visual and associated particle effects. Players will now be notified when the sunderer that they last spawned at has been damaged or destroyed. Players are again invulnerable inside the Warp Gates. Blast damage will now hit VR zone targets. Fixed an issue where Directive counts would reset. 1 new SMG per faction, 1 pistol per faction, 1 assault rifle per faction, etc. Full information here. These prestige weapons are similar to what we already have, but can only be acquired by completing directives. They have unique looks and unique, predetermined and unmodifiable attachment set. Here are in-game stats for all (wieldable by LA) new weapons in this patch. Resource revamp. Now instead of 3 resource types, you only have one – nanites. You can no longer stockpile items, and you pay resource cost when you deploy/resupply with your loadout. Added a quick-deploy option. Now straight from the death screen you can spawn on your last spawn. If it’s not available, you’ll be spawned on closest spawn point. All Alerts have been replaced by Adversarial Alerts, which trigger when a faction controls 75% of the territory on a continent. If that faction manages to keep 75% by the end of the alert, or capture 85% territory, faction locks that continent. If the defenders manage to push back that faction to 65% territory, alert ends and defenders are considered victorious, but continent isn’t locked. Draw otherwise. Massive nerfs to tanks’ anti-infantry capabilities. Nerf to rocket primary: now a rocket from dumbfire launcher can’t OHK with splash damage alone, and players with Flak Armor 5 can survive a direct hit by any rocket launcher. Removed canopies on most spawn rooms, now it’s easier to fire on aircraft from inside the spawnroom. All infantry and MAX weapon attachments are now purchasable with Station Cash. Any attachment purchased with station cash will be unlocked account wide (for that particular weapon, I assume). Advanced forward grip/laser sight attachments have been condensed down into a single attachment unlock that costs 200 certs. All certification points that have been spent on these attachments have been refunded. Added 2x Optic to all appropriate weapons that were missing it. Liberator armor and weapon nerfs. Tank primary turrets are now stabilized. Their elevation will not move with chassis elevation changes, unless it hits the upper or lower constraint. NS Baron shotgun reload speed increased, ADS Stand Move CoF reduced from 0.9 to 0.7, interrupting reload to fire is now faster. Added an option to turn down bloom. PS2 has some horrible integrated AA, and now we can finally turn it off. Engineers can now equip the ammunition package directly by pressing the ability key (default: F). Ammunition package is no longer equipped in the utility slot and is no longer an alternate fire mode on the ACE Tool. The thrown ammunition package is now a physics object and can be thrown anywhere. The Medic tool now uses right click to revive and left click to heal. Soldiers who place explosives will now get an assist xp award if they are detonated by someone else and the explosion kills an enemy. Assist XP from explosive kills = exact same xp as a full kill. Sunderer owners now get 5xp per player who spawns on their deployed Sunderer. Increased from 2xp. Flash kills are now worth 100xp. Increased from 25xp. Added spotting voice callouts for spotting both deployed enemy Sunderers and enemy spawn beacons. Adjusted lag compensation to improve overall responsiveness. Increased collision size of placed Spawn Beacons so that they’re easier to shoot and hit with explosives. You will now hear a special hit sound when you hit a target with nanoweave with bullets, or a target with flak with explosives. Not mentioned in the official patchnotes. Unintentionally falling short distances will no longer apply jump penalties or force a weapon out of iron sights. Knife damage has been reduced from 625 to 500. The previous damage value was compensating for the old Nanoweave functionality where players could have up to 1250 health and is too high now that players cap out at 1000 health (not counting abilities). TRAC-5 Burst now has 42 rounds in a magazine, so that the burst count matches up. Instant Action will now deploy in predetermined zones around bases on Indar and Esamir (Amerish was already done earlier). You will now always have an automatically generated mission to attack or defend this or that facility. Lowered the respawn time after redeploy from 15 to 5 seconds. High Velocity Ammo buffs. HVA’s effect on Minimum Damage Range and Projectile Velocity now depends on the weapon, but it’s approximately now has 80% stronger effect on carbines and 40% on other weapons. Fixed a bug where velocity ammo sometimes did not increase projectile speed on carbines. Suppressor buffs. Reduced penalty to the minimum damage range when a suppressor is equipped on all primary weapons except SMGs. Suppressor’s downsides are also less apparent now on NC LA8 Rebel and VS Cerberus. Head hit box increased slightly so that it better matches the larger helmets. Adjustments to arm hit boxes so that they’re less likely to block the head during certain animations. The pool for assist XP is now equal to the kill value. Ex. a 500 point Magrider that you do 50% damage to will award 250 points. Bugfix: Light Assault Jump Jets will once again continue to function after using the Phoenix Rocket Launcher. New deathscreen with deathmap – you can now see the direction from which you were killed, and you can see the enemy if he was spotted when he killed you. You get more XP for assists dependings on the amount of damage you’ve done to the target. Can purchase scopes for SC (don’t do it). Player corpses now have a 30 second decay timer. If the dead player is not revived before this timer then their corpse will be removed from the world and that player is no longer reviveable. Successful revives now have a player facing 10 second accept/decline timer. If this timer reaches zero then the revive is declined and that player’s corpse is removed from the world. Added occasional, contextual, automatic voice callouts (“reloading”, “frag out”). Only allies can hear those. Camo consolidation – you now purchase camo once, and then you can apply it separately to weapons, armor and vehicles. New Infiltrator weapons: NC Railjack, VS Phaseshift, TR TRAP-M1, NS Vandal. Hunter QCX damage model adjustments: from 650 @ 30m – 500 @ 50m to 650 @ 35m – 500 @ 60m. Now it’s a consistent 2 shot kill against full nanoweave targets for up to 40 meters. Explosive bolt damage adjustments: from X @ 20 – Y @ 40m to X @ 30 – Y @ 50m. This makes explosive bolts a consistent 8 shots to kill against stock MAX units for up to 40 meters. New sidearm: Hunter QCX Quad-Cam Crossbow. New toys for Infiltrator: Stalker Cloak, Motion Spotter, access to (useless) Adrenaline Pump. Infiltrator’s EMG Grenades now destroy deployed C4, mines, Motion Spotters, Detect Darts and Spawn Beacons. Cloaked Infiltrators are MUCH harder to see now. Flashlight attachment is renamed into Darklight Flashlight (ugh) and will now illuminate cloaked enemy Infiltrators. Players can now spawn in Galaxies and Sunderers that are occupied and owned by a squad member. he Sunderer AMS no longer requires an item to be equipped in order to function. Once the certification is purchased, it is always available. This frees up the Utility slot on the Sunderer for other items. Players can no longer ADS during jumping of jetting. VS slugs now have bullet drop. Laser sight / Advanced laser sights no longer increase jumping/jetting hip fire accuracy. Mines are no longer highlighted by HS/NV scope. Nanoweave now reduces incoming small arms and rapid fire vehicle weapons fire by a percentage instead of granting bonus health, and headshots are not affected by nanoweave in any way. UBGL nerfs, now it’s less effective as a quick draw weapon. Jaguar and Lynx nerfs in order to emphasize their 0.75x speed multiplier advantage; both guns are less accurate now. C4 nerfs (again), Cerberus, Eridani SX-5, Rebel and ACX-11 buffed, as well as all burst-series and precision carbines. CQC carbines that had a stronger damage drop off, remain at previous values. GD-7F, for example, is not affected by this nerf and remains at 143 @ 10m – 100 @ 60m damage model. A lot of changes to weapons, they are mentioned in weapons’ descriptions. Fixed drifter jets that were broken in GU13. Added one more rank for Grenade Bandoleer and adjusted cert cost. Reworked vehicle stealth, now this upgrade removes the vehicle from minimap only at final level, instead of the first one, so vehicles will be easier to detect now, because a lot of players would purchase vehicle stealth rank 1 and enjoy being invisible on minimap until explicitly spotted. Same effect can be achieved now, but with a LOT of certs. New weapons: LA3 Desperado, TS2 Inquisitor, Cerberus and NS-7 PDW. Mines and turrets can be spotted now. Massive AOE buff for anti-infantry mines. Other suit slots have been buffed to make nanoweave a less obvious choice. New sounds for VS weapons. Apart from quality of life improvements, bug fixes and various UI tweaks there are no major changes.